We eat this almost every week in my house. Place the lentils, onion and bay leaf into a pot with 3 C (750ml) water and bring to the boil. Reduce the heat, cover and simmer for 20 to 25 minutes until cooked through. Remove the onion and bay leaf and discard. Mix the dressing ingredients together and season with milled pepper. 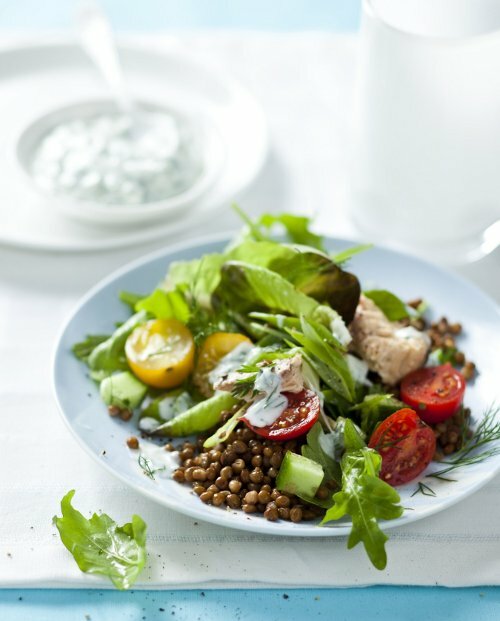 Toss the lentils together with all other salad ingredients and drizzle with yoghurt dressing. * Leave out the lentil bit and mash the salmon with the dressing. Use as a filling for a rye bread sandwich, on high-fibre biscuits or stuffed into wholewheat pita breads. 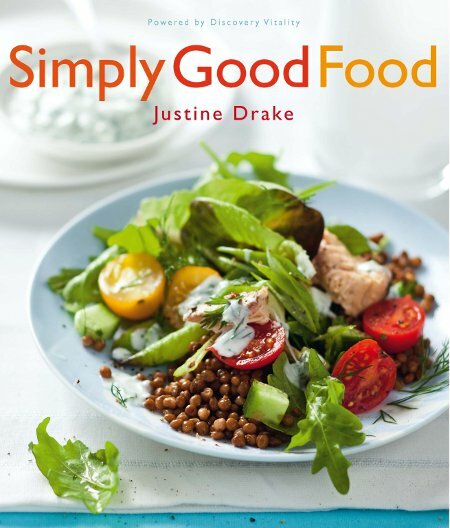 * Substitute lentils with barley, pearled whole wheat (stampkoring) or canned chickpeas. * Add blanched and cooled green beans and broccoli and a handful of watercress. * This salad is even better the next day!